The Canadian Council for Rehabilitation and Work singled out clients and employers of distinction today through an annual awards ceremony. 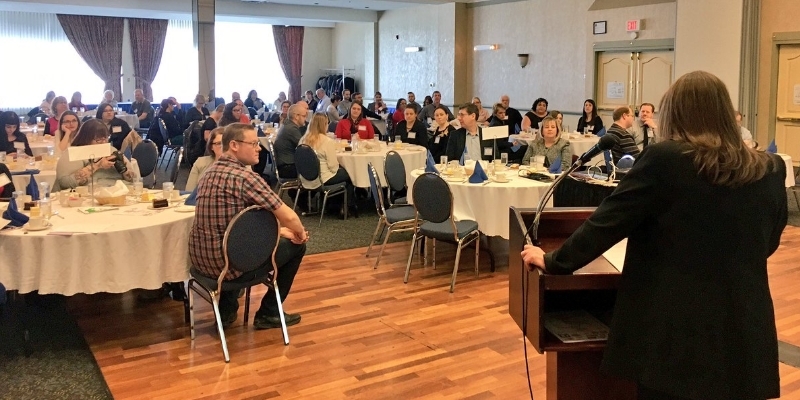 The Canadian Council of Rehabilitation and Work Business Awards luncheon were held at Holiday Inn St. John’s. The event recognizes outstanding people and organizations that go above and beyond to support the inclusion of persons with disabilities. This year’s employer of the year award was given to Quintana’s and Arribas restaurant in Churchill Square. Owner Operator, Rebecca Quintin was surprised by the honour and encourages other employers to find out more about CCRW. Quintin says anyone looking for reliable staff should check out CCRW, she says the clients are sincerely seeking employment permanent jobs. Quintin says any employer would be happy to hire some of the clients available through the Council. Justin Trudeau Town Hall in Saint John - CCRW was there!